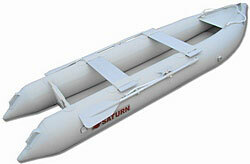 The SATURN KaBoat is for those that can’t decide between a Dinghy and Kayak. 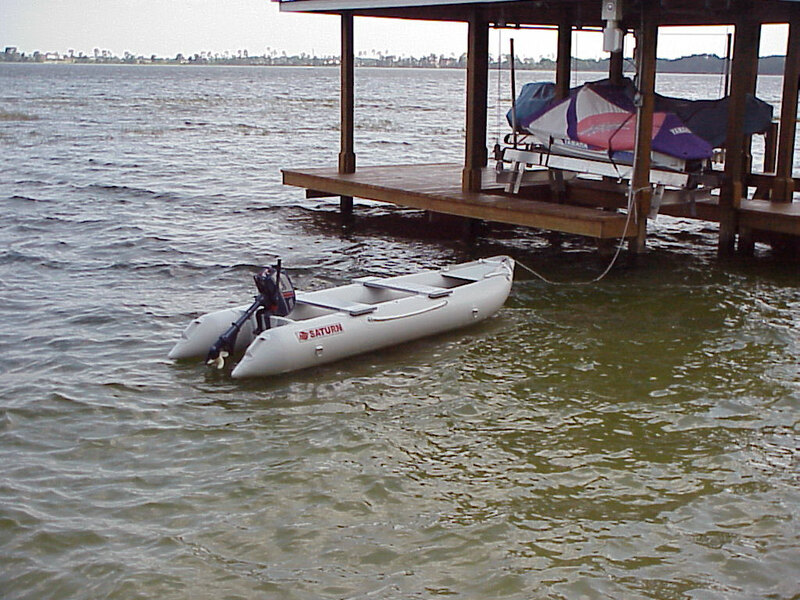 This versatile crossover can be used like our SATURN inflatable Kayak by paddling or can be turned into a motorboat by attaching a gas or electric engine to the plywood transom at the stern. 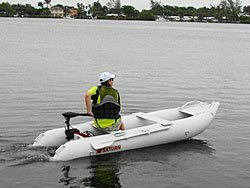 Aluminum seats and incredibly stable design make it great fishing vessel and the compact size make for an excellent dinghy for a yacht or sailboat. 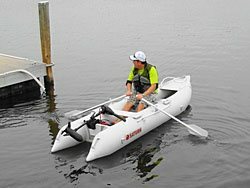 The SATURN KaBoat is capable of transporting heavier cargo and offers a more stable desing than that of a traditional kayak. 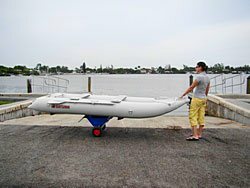 The narrow profile allows for much less drag and allow it to outperform most traditional dinghy’s with similar engine size. 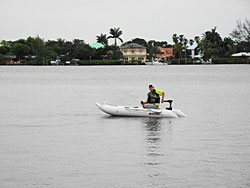 This is a new and revolutionary design, crossover between an inflatable kayak and an inflatable boat – an inflatable kayak with a plywood transom - KaBoat! 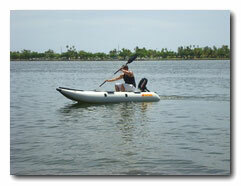 To use it as a regular kayak, just paddle it anywhere you want, such as on the: ocean, bay, river or lake. 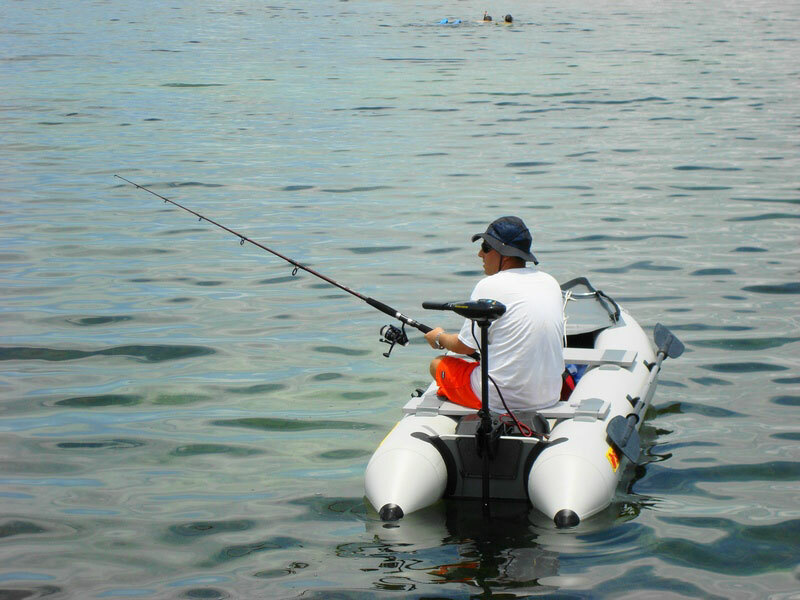 New for 2016, all KaBoats are now come with rowing oars! 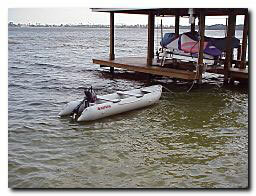 If you get tired, just use an electric or gas engine installed on the marine grade plywood transom. 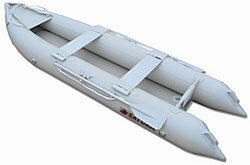 You can use it as an inflatable boat with an outboard engine. 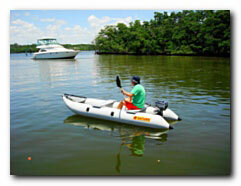 If the battery charge or gas runs low, then use it as a kayak to paddle to your destination. 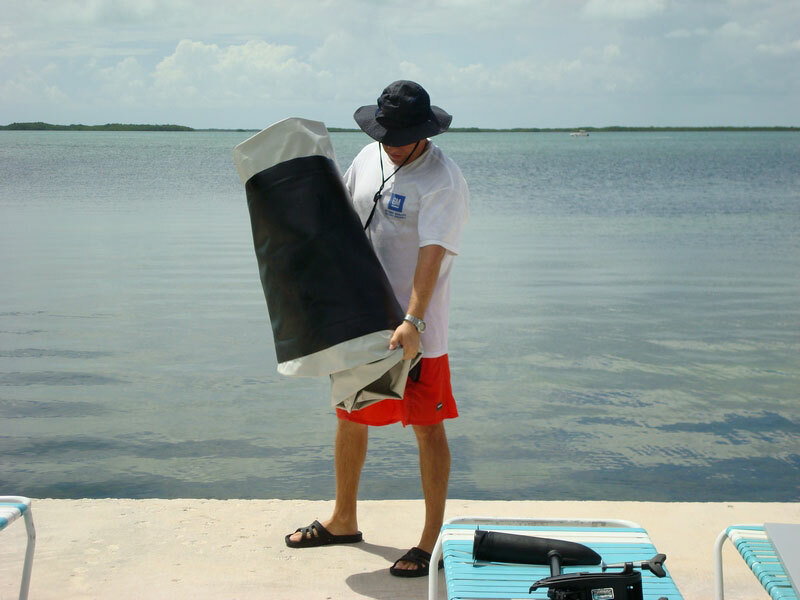 The KaBoat is extremely portable and will fit in a medium size bag. 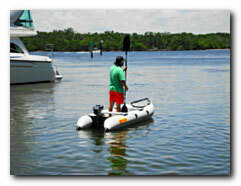 Now you can go on vacation and take your small KaBoat with you, (along with an optional small electric or gas engine). 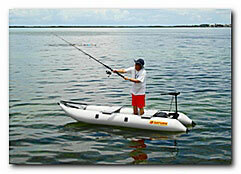 The main benefit is that if you get tired of paddling, then you can use the engine to get back ashore. 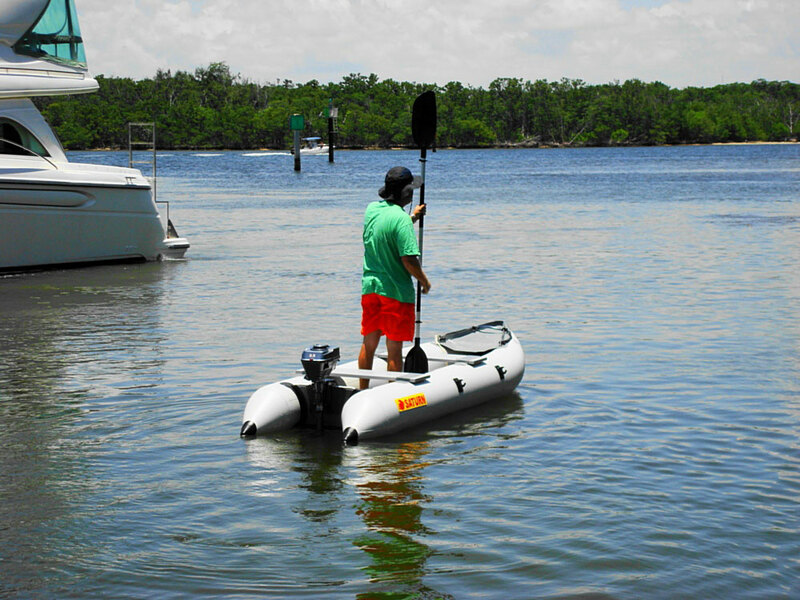 The KaBoat's is exceptionally stable design allows you to stand, fly fish or even get into those narrow spots where other boats can't go to get the best fishing. 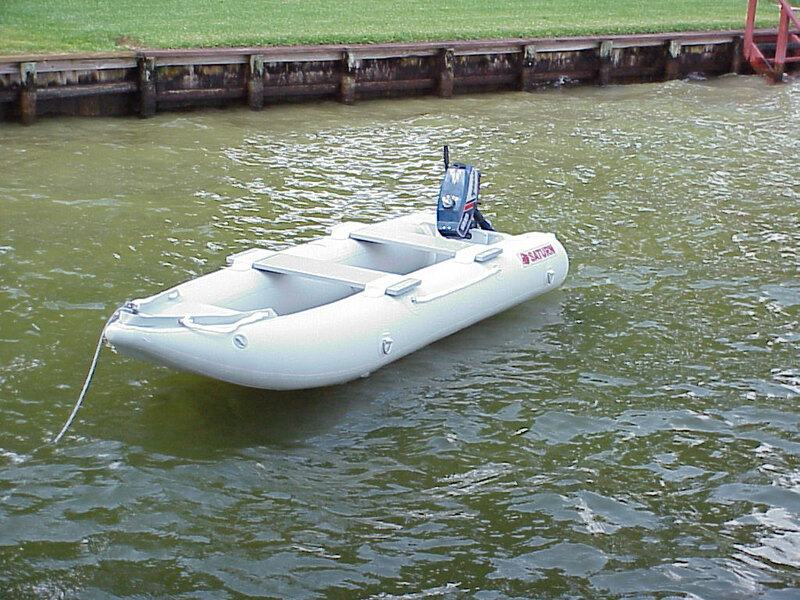 An optional electric motor can act as a virtual "Ride-Assist". 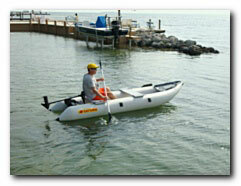 Just set the throttle to the 1st speed setting and it will help reduce rowing exhaustion. 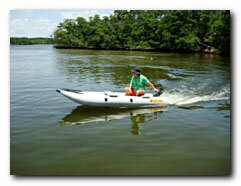 On the 1st speed setting, an electric engine can run around 12 hours (depending on battery size). 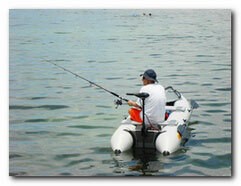 A basic 30 lbs electric engine starts at around $99 at most outdoor goods retail stores. 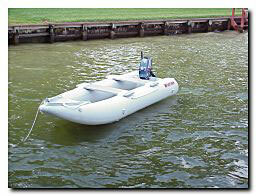 The SK396 KaBoat with an electric engine is an ecologically friendly, environmentally clean, real "Green" boat! Gray KaBoat SK396. 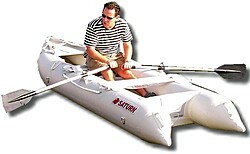 New version comes with aluminum seats and rowing oars. 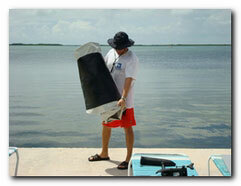 Customer Photo -12' Saturn KaBoat Helps Win Fishing Contest!